Morning Heather Messy Edges by Aimee Harrison are PU/S4O/S4H friendly. 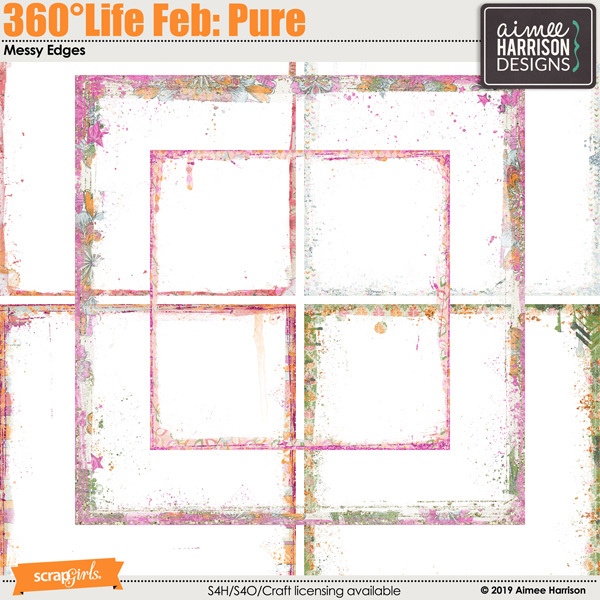 360°Life Mar: Replenish Messy Edges by Aimee Harrison are PU/S4O/S4H friendly. Addicted to Love Messy Edges by Aimee Harrison are PU/S4O/S4H friendly.